A wider body for greater capacity and easier loading of 5ft wide bales. Industrial grade durability is provided by wear resistant material in the fan housing. Straw is lightly shredded improving moisture absorbance and livestock comfort, as the straw is not chopped the bed retains it's structure and provides an hygienic environment. Increase consumption and reduce waste of baled silage. 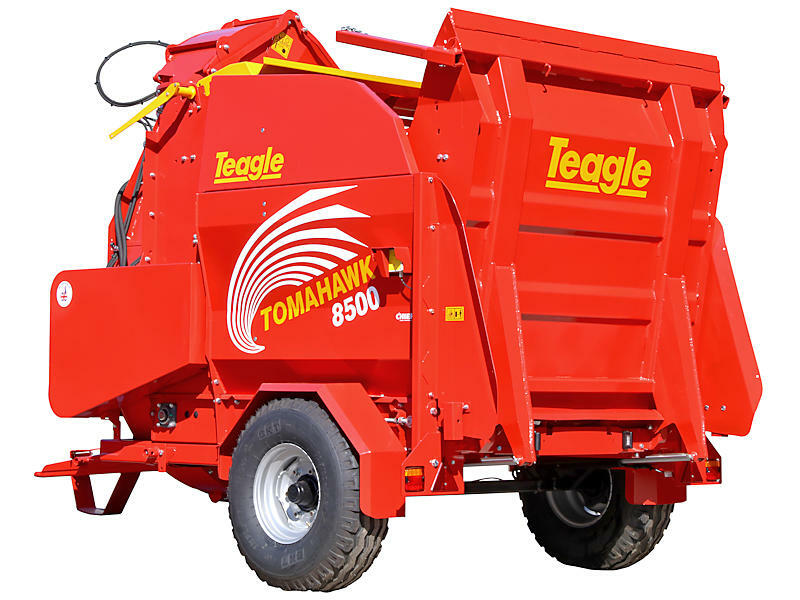 Silage that is lightly shredded with a Tomahawk 8500 is more palatable and easily consumed. 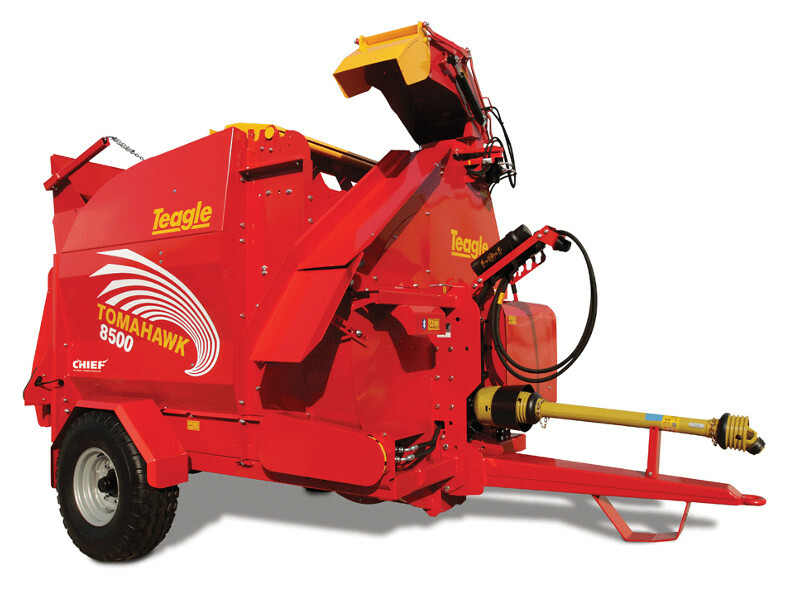 Wide body ensures easy loading and offers 4.5m³ capacity, for feeding baled and clamp silage. Larger fan in a Hardox housing spreads straw up to 22m from rectangular or round bales. Also available with Side Chute or in ‘Dual Chop version’ for long or short straw at the touch of a button. Outstanding 'Flow Plus' Performance to save you money. Deliver only to the right hand side, with slightly greater blow distance than the swivel chute. Discharge height is lower for easier access to buildings. Chute can be raised or lowered as required.